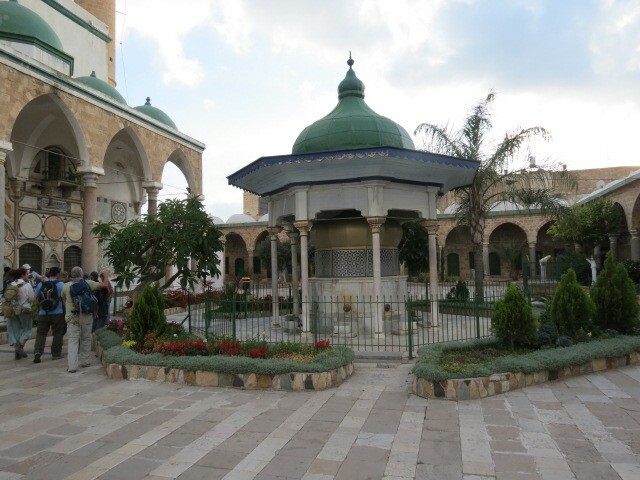 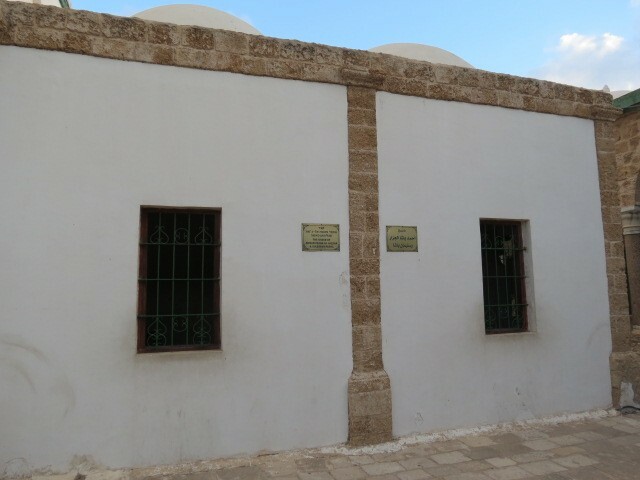 Al-Jazzar Mosque in Acre, which is known in Arabic as Jama El-Basha (the Pasha’s Mosque), was also formerly known as Jama El-Anwar (the Mosque of Lights). 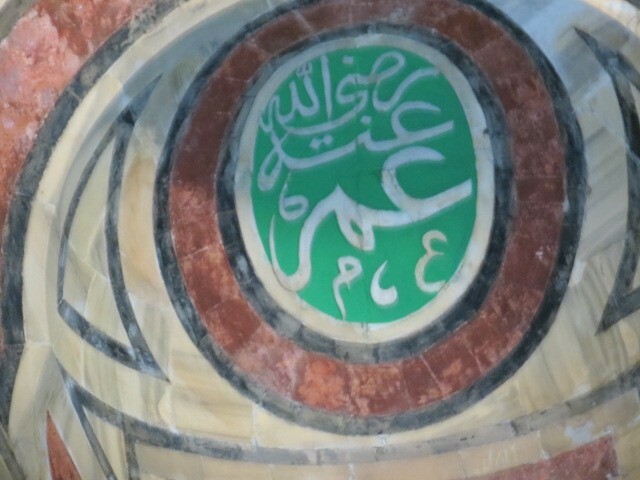 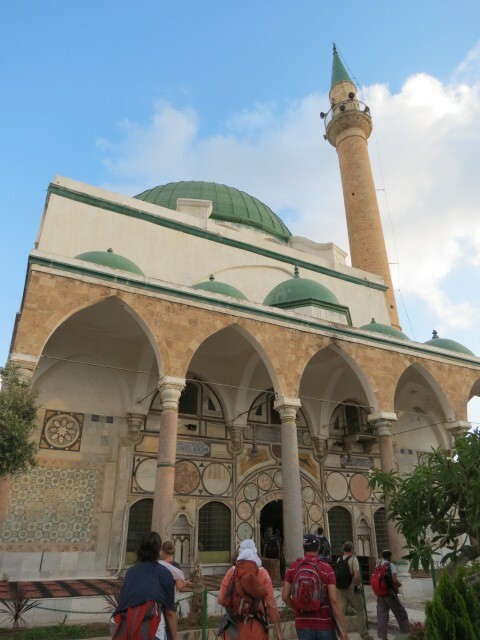 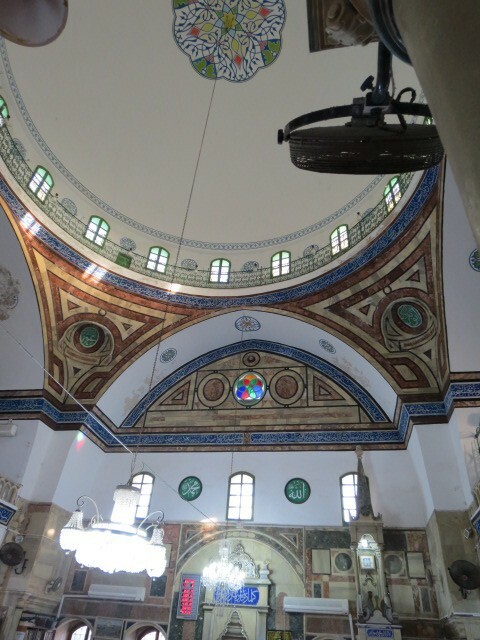 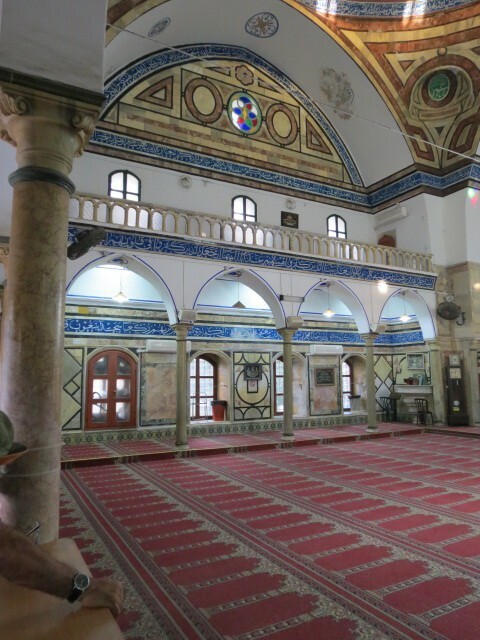 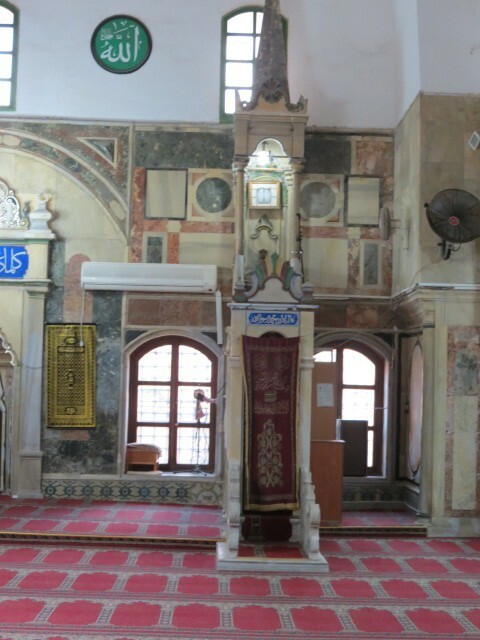 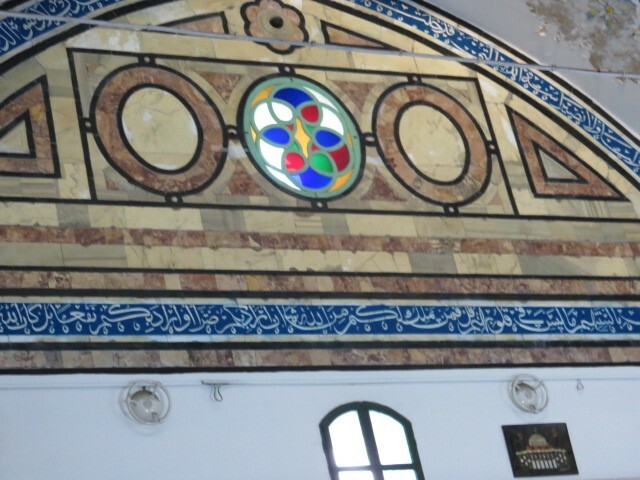 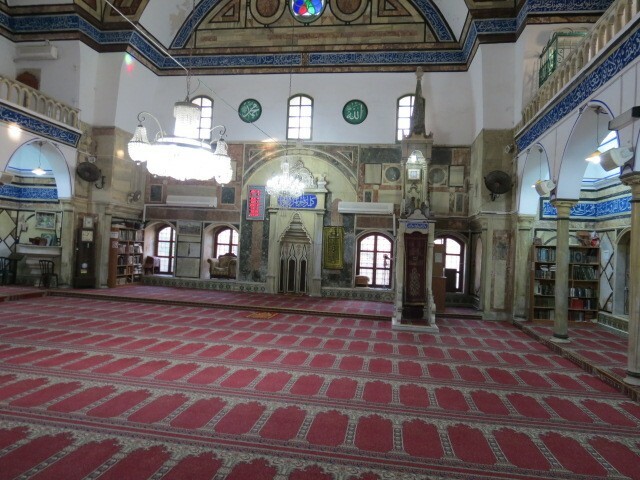 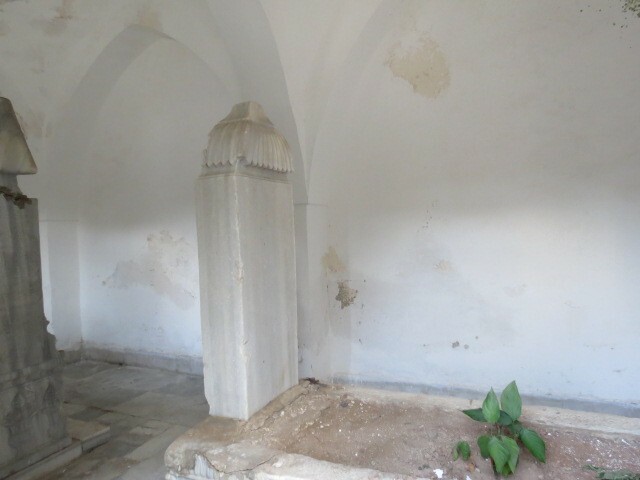 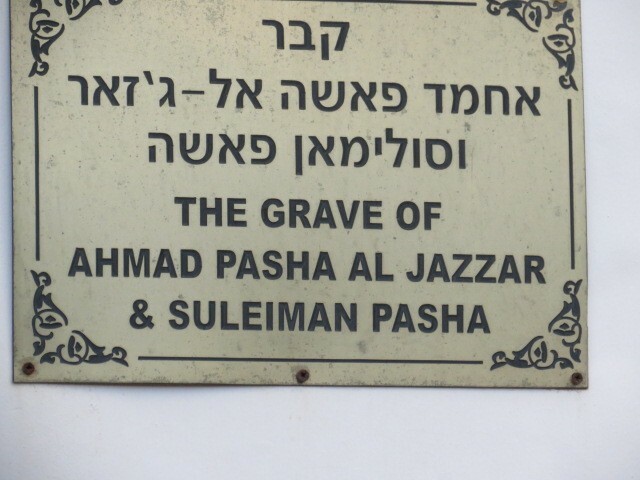 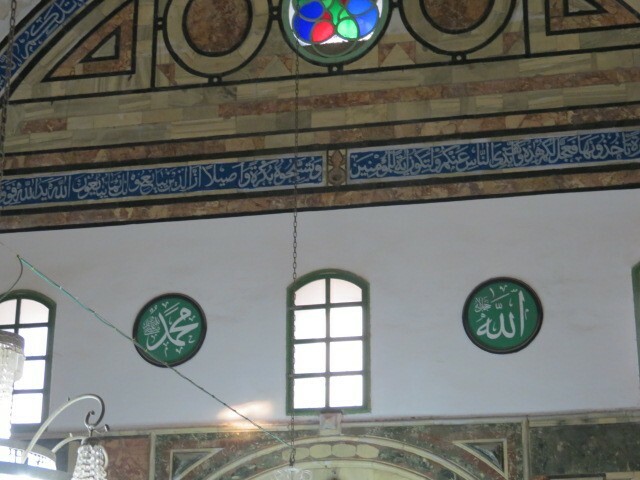 The mosque which was inaugurated around 1781 CE is named after Ahmed Al-Jazzar Pasha (“the Butcher”). 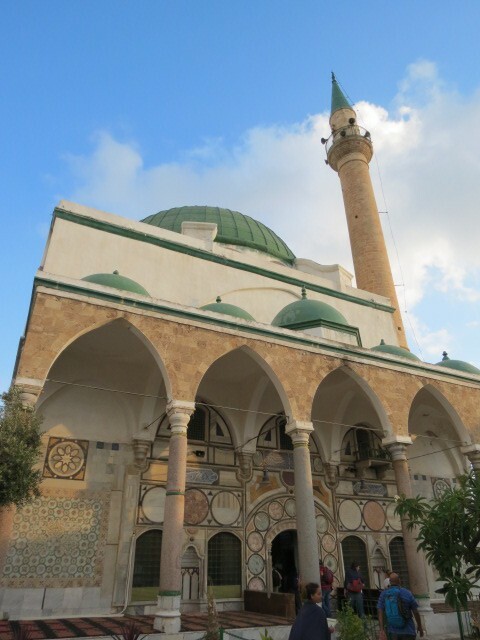 The mosque was built on ruins of the Cathedral of the Holy Cross. 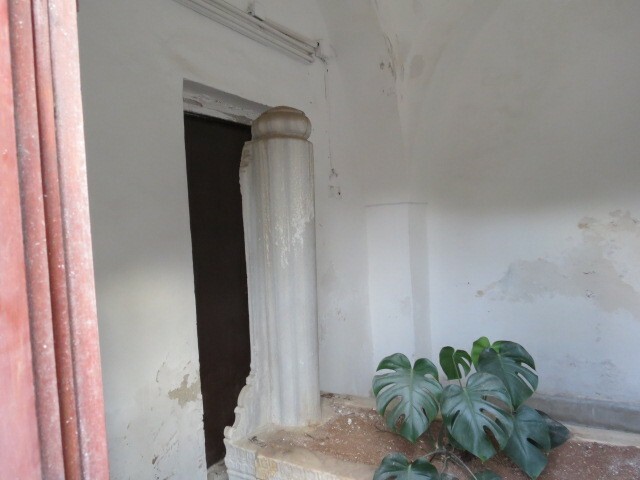 The columns creating the porch around the courtyard were looted from Caesarea. 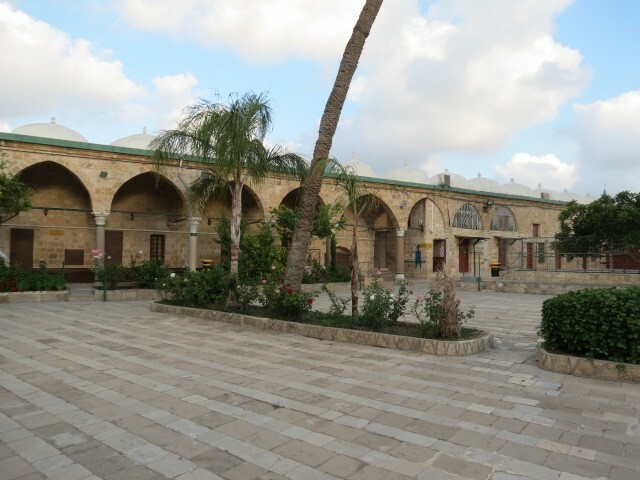 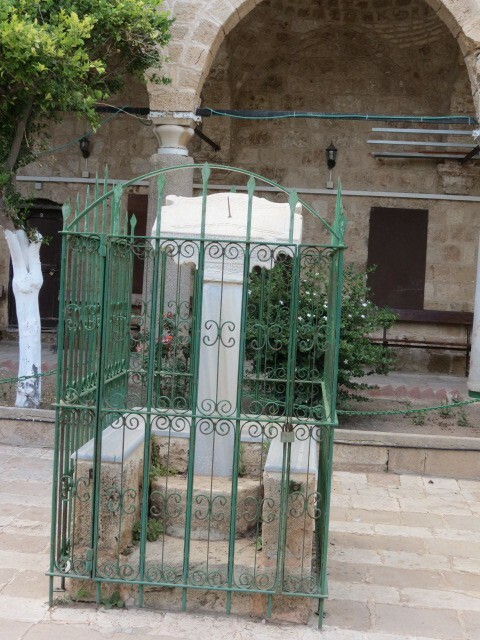 This mosque in the Old City of Acre is still Israel’s largest mosque outside of Jerusalem and the largest mosques built in Israel during the Turkish period. 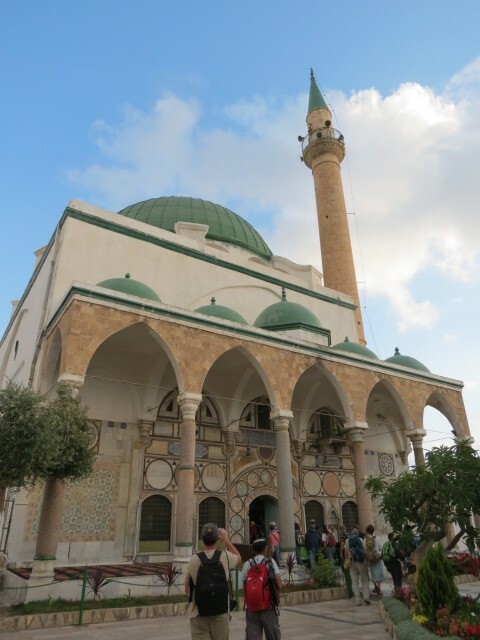 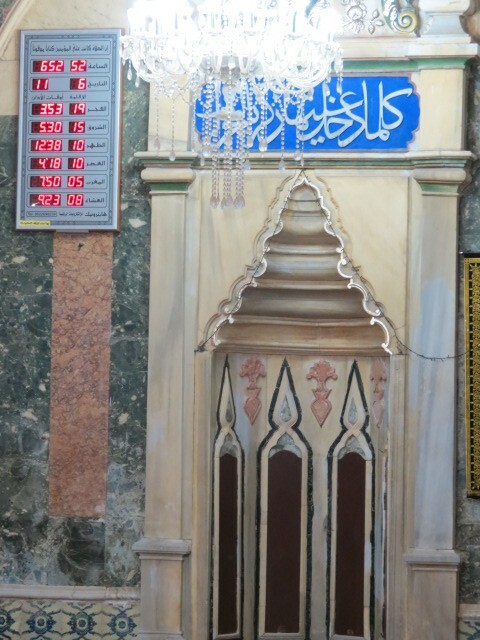 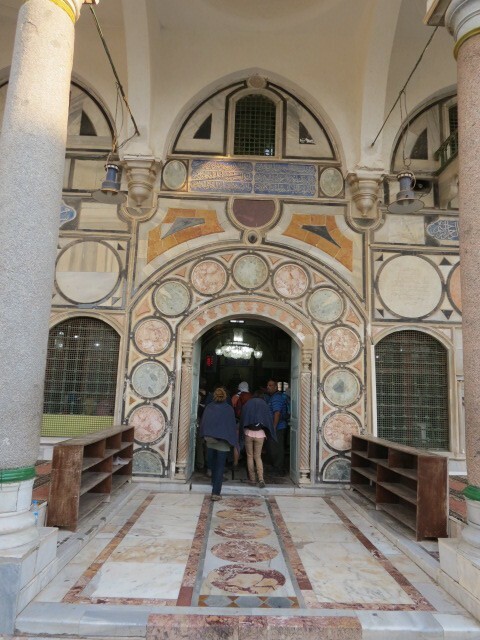 The mosque is said to house the Shahr el Nabi (a lock of hair from the beard of Mohammed the Prophet). 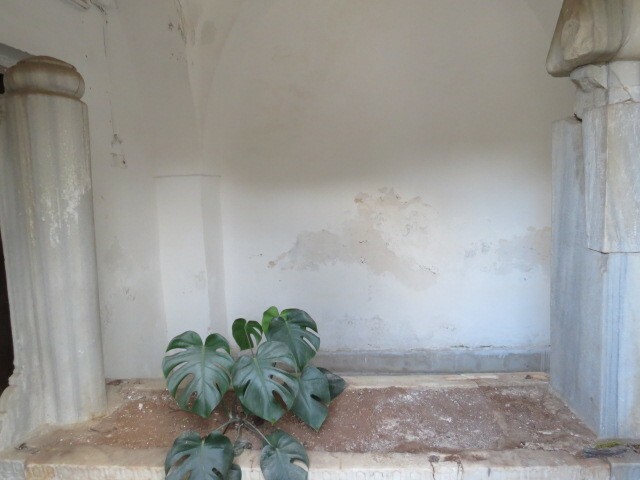 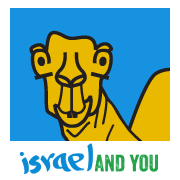 Address: Al Jazzar Street, Acre. 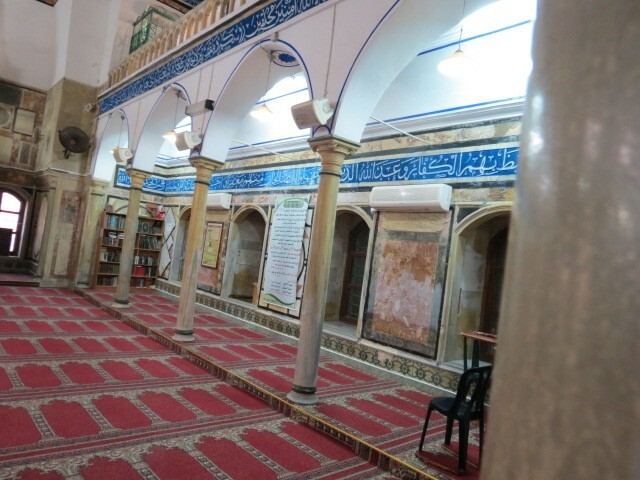 The Mosque is located at the entrance to the Old City.